The precision of measuring nanoscopic structures could be substantially improved, thanks to research involving the University of Warwick and QuantIC researchers at the University of Glasgow and Heriot Watt University into optical sensing. QuantIC is the UK Quantum Technology Hub in Quantum Enhanced Imaging and part of the UK National Quantum Technologies Programme. Using pairs of photons, fundamental components of energy that make up light, the researchers have devised a way to measure the thickness of objects that are less than a 100,000th of the width of a human hair. The new technique involves firing two near identical photons onto a component known as a beamsplitter, and monitoring their subsequent behaviour - with some 30,000 photons detected per second, and 500bn in use throughout a full experiment. Because of the tendency of identical photons to 'buddy up' and continue travelling on together—the result of a delicate quantum interference effect - the researchers' newly developed setup offers the same precision and stability as existing one-photon techniques that, due to the equipment required, are more costly. Offering a range of potential uses, including research to better understand cell membranes and DNA, as well as quality control for nanoscopic 2D materials of a single atom's thickness, such as graphene, the new research is also a marked improvement on current two-photon techniques with up to 100x better resolution. Photon A then continues into a beamsplitter, whilst Photon B is slowed down by a transparent object before entering the same beamsplitter. 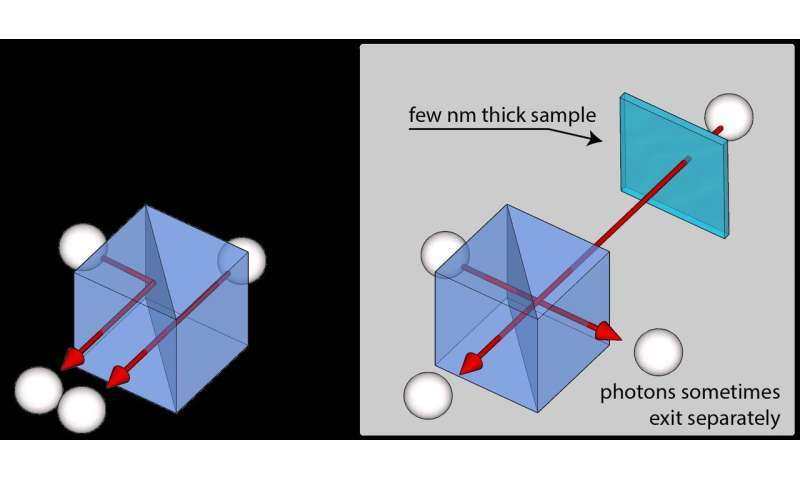 The likelihood that the photons exit the beamsplitter together is then recorded allowing researchers to measure the thickness of the transparent object Photon B passed through. As the thickness of the sample is increased, the photons are more likely to exit the beamsplitter separately. 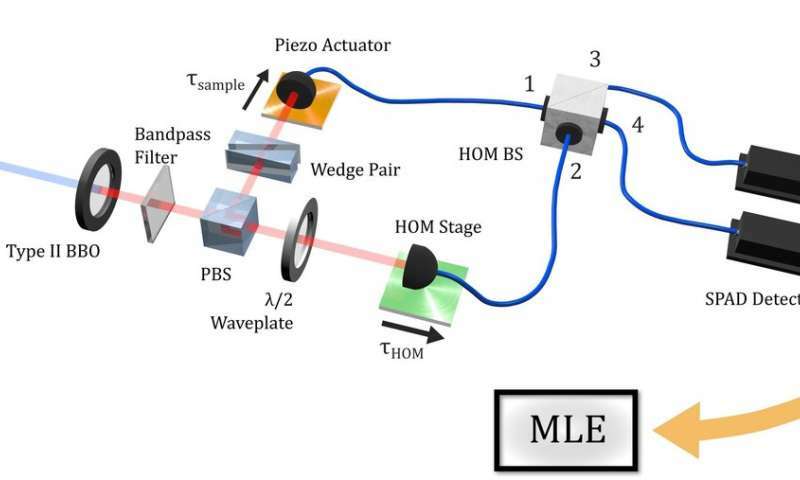 The research, Attosecond-Resolution Hong-Ou-Mandel Interferometry, is published by Science Advances.